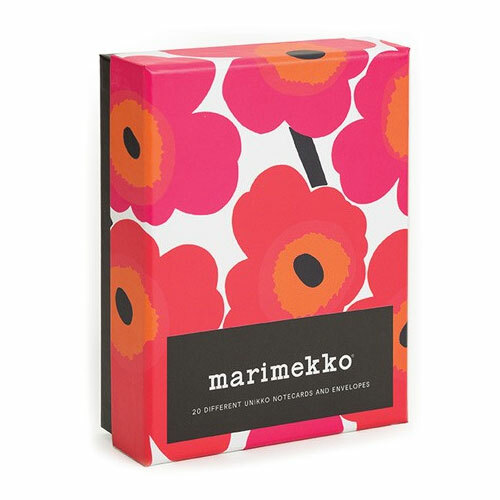 More about Marimekko Unikko Note Cards with Envelopes The Marimekko Unikko Note Cards from Chronicle Books makes a delightful gift for a friend but is also practical to have on hand yourself. 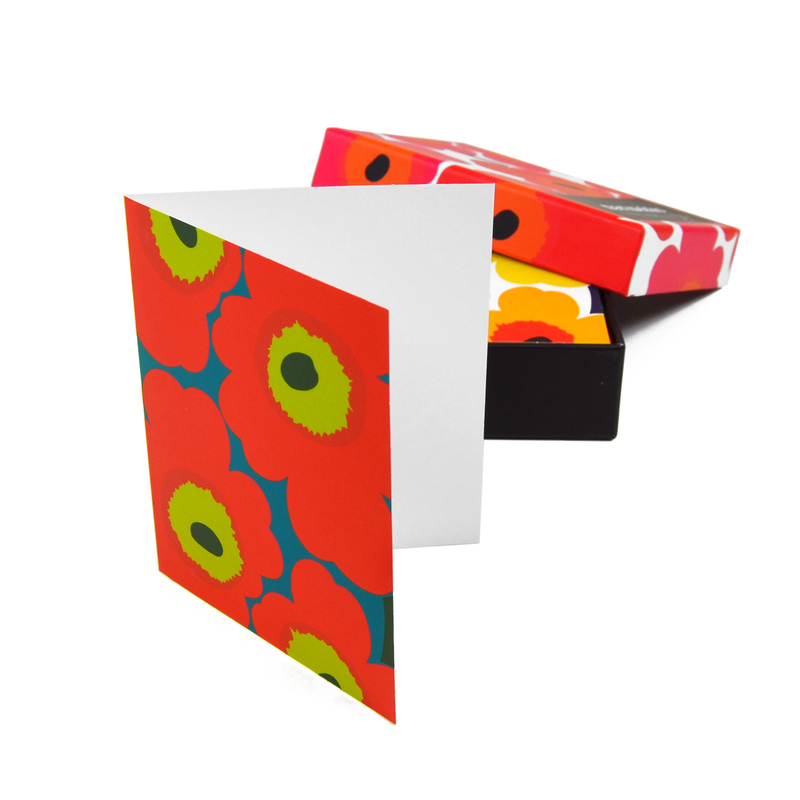 It features 20 eye-catching and colorful versions of the iconic Unikko pattern by Maija Isola, as well as matching envelopes for each. 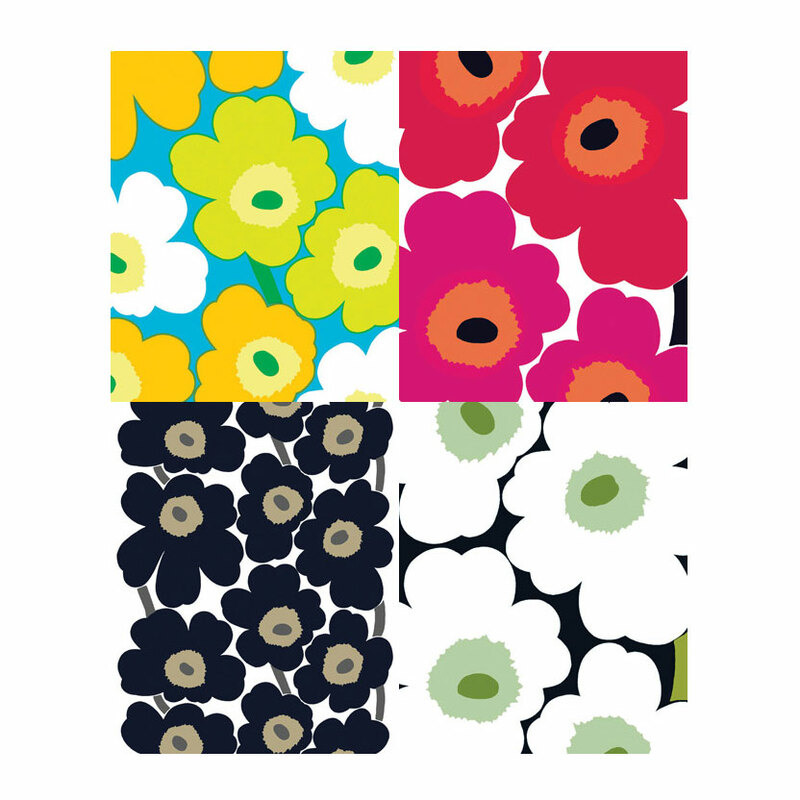 The cards are great to use as thank you cards, party invitations, or simple notes to make somebody’s day. Price is for boxed set of 20 note cards and 20 envelopes. 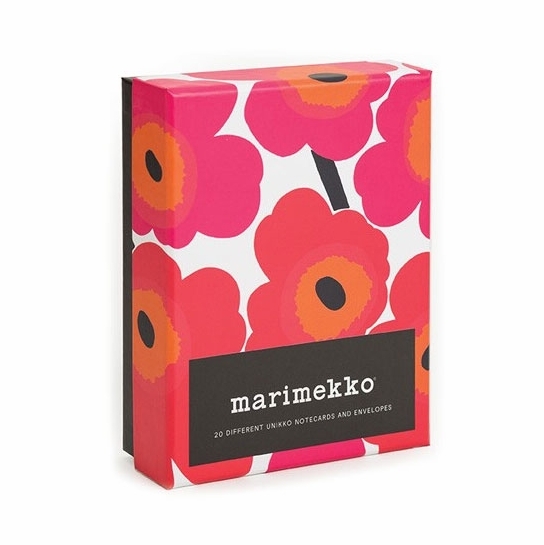 My friend Nancy loves Marimekko textiles and when her birthday cam around I got her these note cards, she loves them. 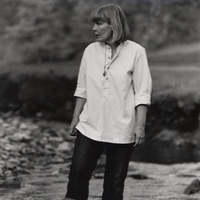 High quality paper stock makes the receipted of her notes feel special. These are too small for my taste. Because the pattern on the box cover wraps around the sides, it left me with the overall expectation of a bigger, bolder card. (Excellent product marketing.) But the cards are (much) smaller than the illusion created by the box cover, the patterns aren't quite as big, the colors don't seem as bold or bright and the card stock is flimsy. One disappointment I can live with as most boxed sets aren't perfect. But these have too many disappointing features. The cards seem more appropriate for kids thank you notes rather than for adults. 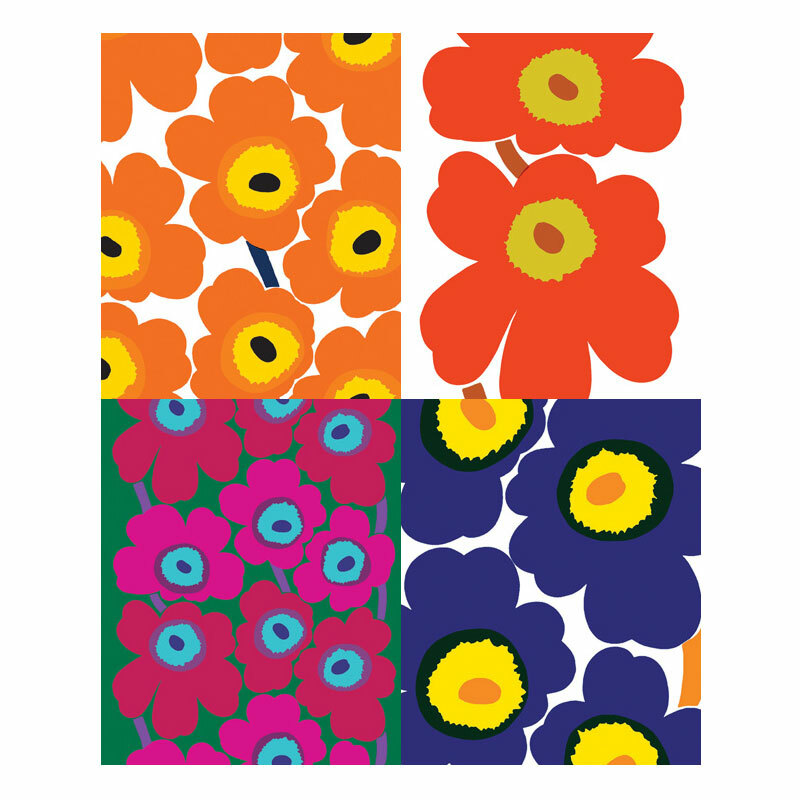 ProsIconic marimekko patterns. Recommend for kids use as thank you cards or stationary. 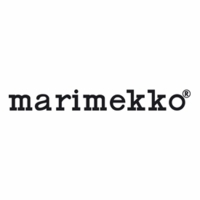 Everything Marimekko is wonderful, not just the iconic design but the quality as well. The sock are great fun, memories of HR Puff n' Stuff and wit witch-I-poo! I used up an entire box in record time... They are so beautiful and fun to written it motivated me to write more! Do the cards open and are they blank, or is it just a sheet of cardboard that you write on the back? The cards do open and are blank inside.